Engines are what makes vehicles move. They also play an important factor in the speed, power and overall performance of cars and motorcycles. V4 and V6 engines are two types of engines. These are both compact engines types. To learn more about these engines, continue reading this article, where we’ll touch on their main differences. A V4 engine is an internal combustion engine that has four cylinders arranged in a V configuration. 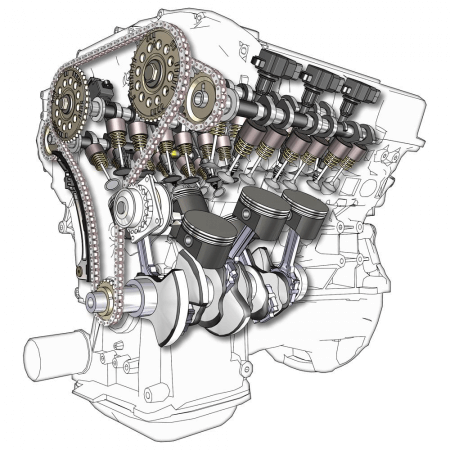 A V-type engine like the V4 has two rows of cylinders that form an angle that resembles a V between the two cylinder blocks when viewed from the crankshaft axis. Having an engine in a V configuration makes it more compact than a regular inline engine. This is because each cylinder block in a V engine is half the length of an inline engine with the same number of cylinders. For example, a V4 has only two cylinders on each block compared to four cylinders on the engine block of the inline engine. Combustion occurs separately in each cylinder, with more cylinders resulting in greater torque. This means a V engine packs more power than a similar sized inline engine. The V4 engine is actually rarely used in automobiles, and only a few car models throughout history have ever used it. This is because a V engine is more expensive to manufacture and harder to maintain in more compact vehicles than inline engines. The advantages you get from having a more compact engine is outweighed by the costs for compact automobiles requiring only four cylinders. The V4 is more commonly used in powerful motorcycles. A V6 engine is a V-type engine that has six cylinders. This V-type engine has three rows of cylinders on each cylinder bank, making it one of the most compact engine configurations available. Because of this feature, it has been widely used in most modern, mid-sized cars. Most of the inline 6 engines have been replaced by the V6 due to space considerations since the inline type is almost twice as long as the V-type. However, a V6 engine is more expensive to build and maintain compared to inline 6 engines. What is the difference between a V4 engine and a V6 engine? 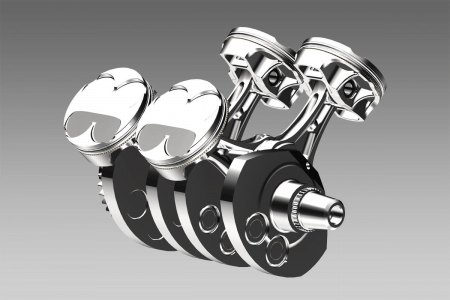 The V4 engine contains 4 cylinders while the V6 engine contains 6 cylinders. A V4 engine is smaller and has less power compared to the bigger and more powerful V6 engine. Moreover, V6 engines also have the ability to accelerate vehicles faster than the V4. Nowadays, the V4 engine is rarely used in automobiles and more commonly used in powerful motorcycles. The V6 engine, on the other hand, is often used in modern, mid-sized cars.